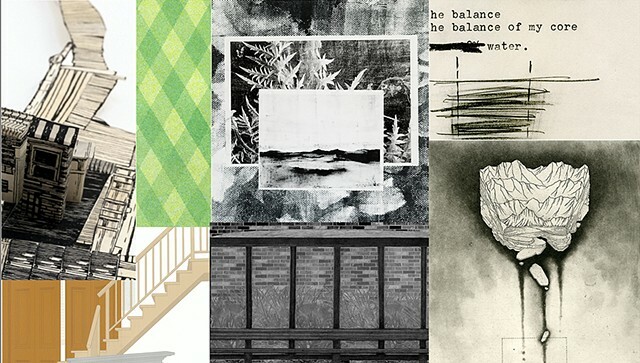 A selection of my prints have been chosen for the 11th biectr. 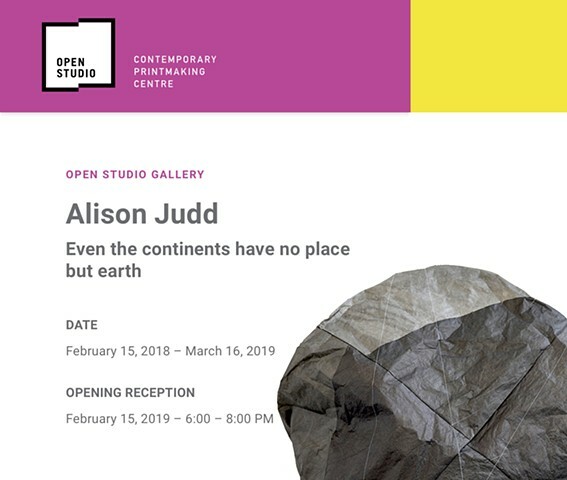 Solo exhibition of new work will be shown at Open Studio, in Toronto. I gratefully acknowledge the support of the Ontario Arts Council, Exhibition Assistance Grant. January 17 to March 23, 2019. Jury: May Castleberry, Editor, Contemporary Editions, Library Council of The Museum of Modern Art. Elleree Erdos, Private Collection Curator and Freelance Writer. Tatana Kellner, Artist and Co-Founder of Women's Studio Workshop. David Sandlin, Painter, Printmaker, Cartoonist, and Professor at School of Visual Arts. Solo exhibition of new work at Atelier Circulaire, in Montreal. 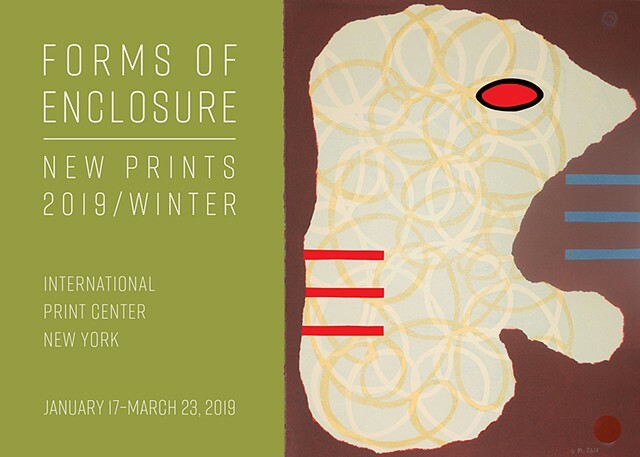 I am pleased to have been accepted in the Druckwerk Printmaking Studio Residency in Basel, Switzerland with an exhibition at the Kaskadenkondensator Basel Gallery. I gratefully acknowledge the support of the Canada Council for the Arts, Arts Abroad Program. I am pleased to have been accepted to the Banff Artist in Residence (BAiR) Spring Intensive programme. This is an opportunity for an immersive period of studio practice, artistic exploration, and self-directed research. April 24 - May 19, 2017. A selection of my Core Sample Segments are included in the show Expanding Landscape at the Latcham Gallery, in Stouffville, Ontario. Log Jam is going on the road again - this time to Nova Scotia at ARTsPLACE, in Annapolis Royal. Log Jam will be installed as part of the 2015 Southern Graphics Council International (SGCI) Conference in Knoxville, Tennessee. March 16 through March 22, 2015. I gratefully acknowledge the support of the Canada Council for the Arts, and the Travel Grants for Professionals in the Visual Arts program. A selection of my Log Jam Studies and Core Sample Segments will be part of a group show at Renann Isaacs Contemporary Art, Guelph ON. The exhibition introduces the artists involved in the 2015 Arts Incubator Residency at the Boarding House Arts. February 6 through 28th, 2015. A selection of my ongoing studies of Core Sample Segments is currently installed at the Rotunda Gallery in Kitchener, ON. October 1 - 31, 2014. August 1 - September 7, 2014. I have been accepted for the Klondike Institute of Art & Culture's, Natural & the Manufactured Artist Residency program. Residency: May 26 - July 6, 2014. I am pleased that one of my Core Sample Segments was selected to be a part of Open Studio's 100 Prints. April 5 - May 3, 2014.